Having worked in the retail and wedding industry's in large cities like London and Manchester, Jo was sad to see a real decline in the local high street of her home town. Upon returning back to Newcastle in 2009, Jo felt passionate that she could utilise her experience and started to formulate the idea of a luxurious boutique with a difference. In September 2013, Jo faced and ultimately impressed the dragon panel winning the competition and beating off hundreds of other entires with her experience and enthusiasm. 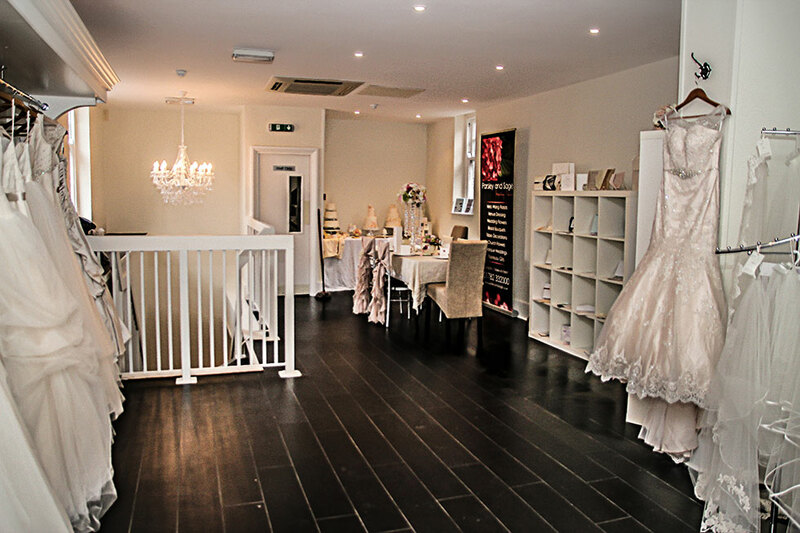 The idea that was pitched to the dragons was a 'one stop' wedding and occasion store that would encompass not only stunning wedding and evening gowns but accessories, wedding services, vintage wear, wedding planning and a VIP changing lounge/experience. The Dragons commented that they felt that Jo would not only make a difference to the local high street but to the wedding and fashion industry as a whole. 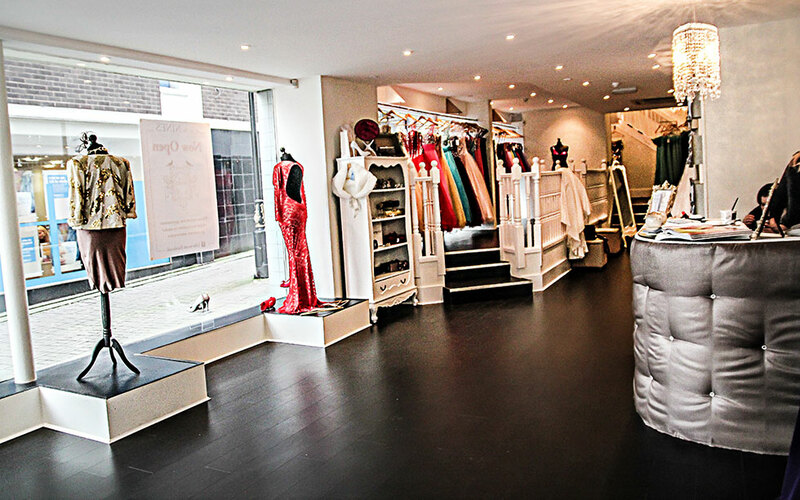 Downstairs To the Nines invites you in with a large selection of beautiful evening gowns stunning shoes paired with exquisite matching bags and a host of other fabulous accessories. The ground floor is also host to the 'Nine lives' concession offering a range of stunning vintage evening wear pieces. 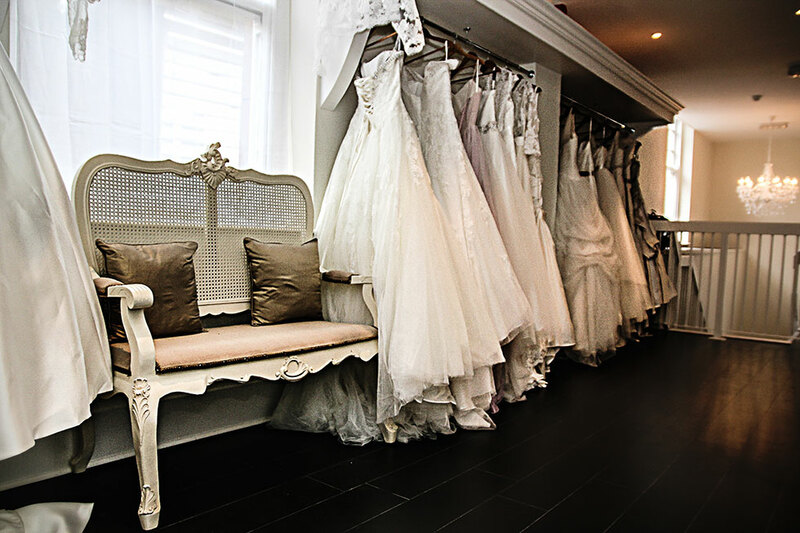 On the first floor framed by chandeliers and silk drapes you will find the beautiful bridal department, housing a wide selection of wedding gowns, bridal accessories, wedding services, further changing rooms and the jewel in the crown - The VIP suite. The VIP suite allows you the luxury of sipping champagne and nibbling on canapés with the company of your bridal party, whilst enjoying the freedom and time to lose yourself in the ultimate experience of finding that dream dress. To the Nines are also proud to offer the areas first bridal/event services department. Showcasing local suppliers who Jo has personally hand picked after working with each of them over many years of wedding and event planning-they are in Jo's opinion are the best in the business. Within the services area you can find your special touches such as invites and table plans, flowers, centrepieces, chair covers, cakes and even wedding gifts such as personalised champagne glasses, engraved perfume bottles or even 'just married' silk bridal robes. Jo and her team hope to welcome you into store very soon.